Bringing velvety, soulful sounds to weddings and events across South Wales & The South West. This fresh, funky 6-piece Soul, Motown, Disco & Funk band, deliver huge, classic, dance-floor fillers to your event. Their delicious repertoire includes timeless hits from artists including Stevie Wonder, Aretha Franklin, Al Green, James Brown, Chaka Khan, Lionel Richie, Luther Vandross, Michael Jackson and many more. Spine tingling tunes such as Lets Stay Together, Ain’t No Stopping Us Now, I Feel Good, Signed Sealed Delivered, Respect, guaranteed to bring Motown magic to your wedding or event. This class act is made up of dazzling disco diva lead vocals, sax, guitar, bass, drums, and keyboards. Velvet Soul are sure to impress. The band perform 2 amazing live sets and provide all the music for between sets meaning your whole evenings entertainment is covered. If you can’t get enough of their soulful vibes, you can take advantage of their additional drinks reception set, get in touch for details. Soul Motown Disco & Funk are the very best genres of all time, the irresistible groove of the music will without fail get all your guests up dancing like no one is watching. 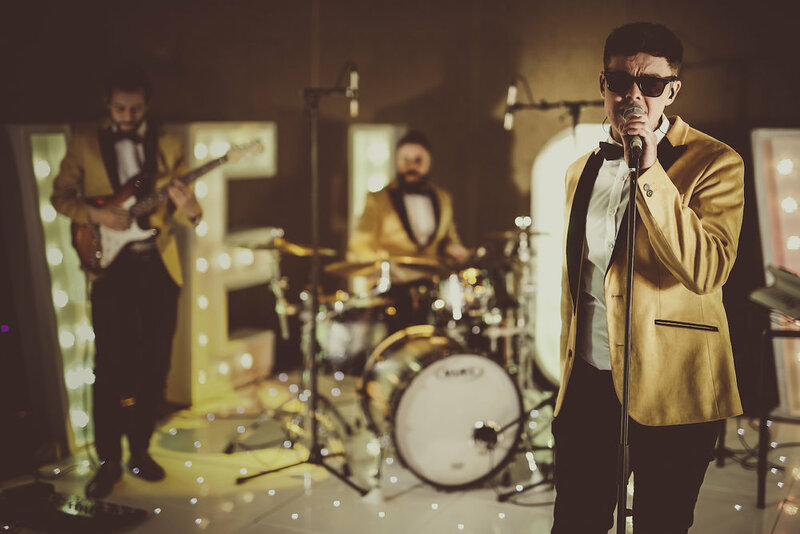 Don’t miss out on one of the best wedding bands in Wales, book this dynamic 6-piece soul band today. If you'd like any further information on anything please don't hesitate to GET IN TOUCH at any time. Velvet Soul are managed exclusively by Music HQ - Wedding Bands South Wales. South Wales' Leading Live Wedding Music Service. ABERYSTWYTH, BATH, BRECON, BRISTOL, CARDIFF, CHELTENHAM, COTSWOLDS, DEVON, GLOUCESTER, HEREFORD, MONMOUTH, NEWPORT, PEMBROKESHIRE, SOUTH WALES, SOUTH WEST, SWANSEA, TAUNTON, WEST WALES, WORCESTER.